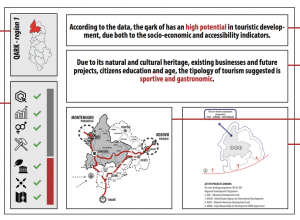 RisiAlbania has given an assignment to a team of Co-PLAN and Polis University to make a comparative regional analysis of the Albanian tourism sector, based on selected criteria of relevance, growth potential, gender and social equity and feasibility of intervention. To this end, the team has carried out desk research and has interviewed a number of stakeholders. Based on the statistical findings and analysis, answers from respondents and the response to the intermediate presentation on November 22, a final report is submitted to RisiAlbania, as per the specifications of the Request for Consultancy Services.